يضمن فندق Atherton Motel الذي رمم في 2007 لزائريه قضاء وقت ممتع في هذه المدينة الخلابة سواء جاؤوا في رحلة عمل أو سياحة. إن موقع الفندق الاستراتيجي، الذي يبعد 1 km فقط عن مركز المدينة، يسمح للنزلاء بالوصول سريعاً وبسهولة إلى العديد من الوجهات المحلية المثيرة. يشكل هذا الفندق ملاذاَ مريحاً للاسترخاء ويمنح زواره فرصة للاستجمام والتجدد، وهو يقع على بعد خطوات من المعالم السياحية الكثيرة للمدينة. يعمل Atherton Motel على ضمان إقامة مريحة لضيوفه من خلال خدماته الممتازة وحسن ضيافته. يقدم العقار واي فاي مجاني في جميع الغرف, مرافق مخصصة لذوي الاحتياجات الخاصة, واي فاي في المناطق العامة, صف السيارات, خدمة الغرف لضمان الراحة القصوى لضيوفه. استمتع بوسائل الراحة الراقية في الغرف أثناء إقامتك هنا. بعض الغرف تتضمن تلفزيون بشاشة مسطحة, بياضات, مرآة, مناشف, اتصال لاسلكي بالإنترنت لمساعدتك على استعادة طاقتك بعد يوم طويل. يقدم الفندق مجموعة رائعة من الخدمات كمثل حمام سباحة خارجي, حديقة، لجعل إقامتك تجربة لا تنسى. يشكل Atherton Motel بخدماته الراقية وموقعه الممتاز، قاعدة مثالية للاستمتاع بإقامتك في المدينة. 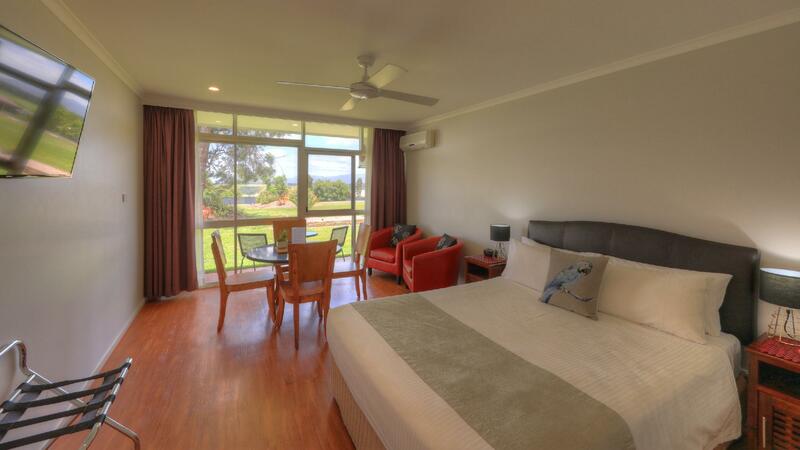 Was up in Atherton for a wedding at lavender hills, Atherton motel was so close and perfectly comfortable. A little dated but plenty room. Friendly helpful staff. Definitely recommend was pleasantly surprised when we checked in. 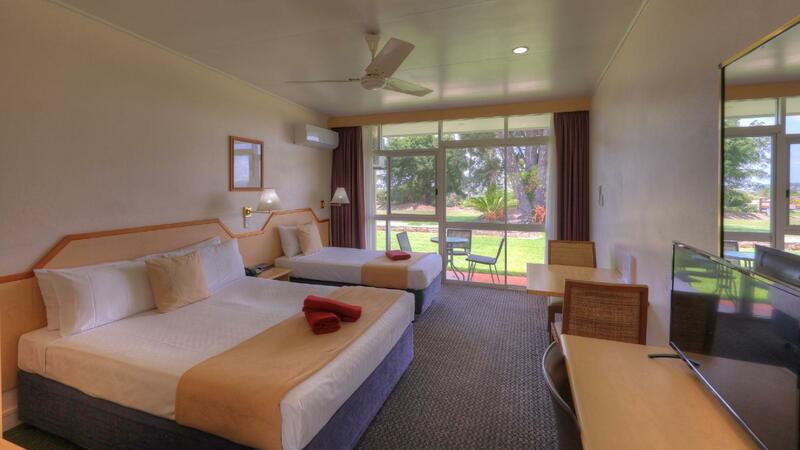 The Atherton Motel was just lovely - the room was extremely clean and the staff were extraordinarily helpful. They really went above and beyond. Chosed it based on location. It is away from centre of town. Quiet. Lovely views. Unfortunately the room I stayed at needs desperate update of its bathroom and good vacuum of the carpets. Window screen needs replacing. Large holes meant putting up with noisy aircon all night and hence lack of sleep. Handy to have restaurant next door but beware the menu is deceptive. Ordered a LAMB claypot - got one with chicken in it as well !!! Not quit a lamb claypot. Could be called a combination claypot. 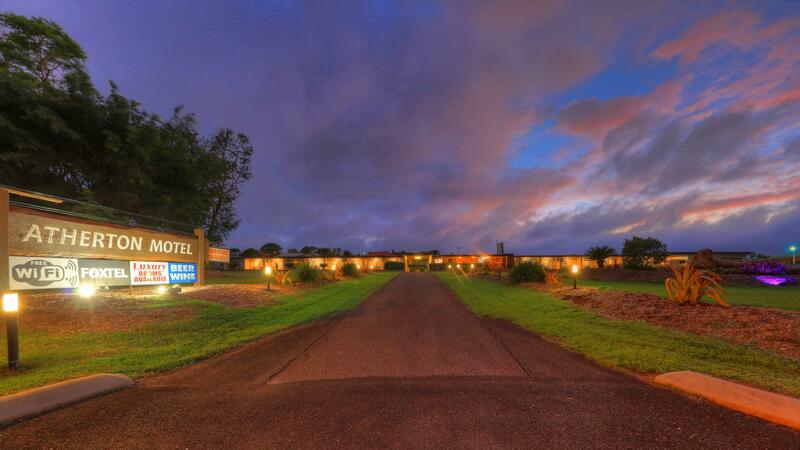 Like motels used to be - with daily room servicing, free wifi, big comfortable bed, Foxtel and brick walls, so quiet. Rooms are spacious with tea and coffee making facilities, a microwave, sink, fridge, (but no cutlery or crockery other than tea/coffee making stuff but I'm sure Rob would have provided something if we needed it), desk and table and chairs. The bathroom in our room was original (some are updated) but it was very clean, functional and the water hot and strong. There's a front balcony onto the garden with views to the mountains and undercover parking at the back next to the room entrance. The owner Rob was really nice and helpful with suggestions of places to visit. His brother does fantastic woodwork and sells it in reception. Looks ordinary but better service and extras than much pricier places. We'd stay there again. .....very soft bed, uncomfortable. .....relatively good value for money ..... But not really memorable. Is what it is.... A cheap motel accommodation for the night. It is a long time since I stayed anywhere that was so clean. The room was a step back in time but had everything I needed including a very comfortable bed and facilities for a cuppa and a good hot shower. Thoroughly recommend. Only one chair in unit and no normal table.. Table with two chairs outside not really convenient for having breakfast together. most inconvenient for family. Only 4 servings of sugar and no crockery or cutlery. Had to ask for these. Staff were very helpful. Absolutely great! Staff were really nice (which is hard to find at a lot of places), room was clean, beds were clean, parking right at the front, great view, great vibe! I'm a massive fan! this is a classic motel where everything is there but it's getting a little long in the tooth. the main issues were the lack of soap and the poor liquid soap dispensers. we had a very comfortable night and overall had no major issues. atherton was not what we thought it was , very quiet place , not much to do , the owner went out of her way to ensure that we was happy with our stay , even down to cooking our breakfast seperatly as we was veggies . Location... near highway without noice. Close to "everything"
This was the second time we stayed at this motel. The layout of room are good. Have space between beds and enough bench space plus nice open outdoors place to have your b-fast. Free internet wireless. The staff help you with anything, even some free playing cards... and tips on where to go on sightseeing. The price are low compare to other places i been to when you look into what you get. Very clean standard motel room, with helpful staff. Reasonable price. Good service. Spacious surroundings and rooms. 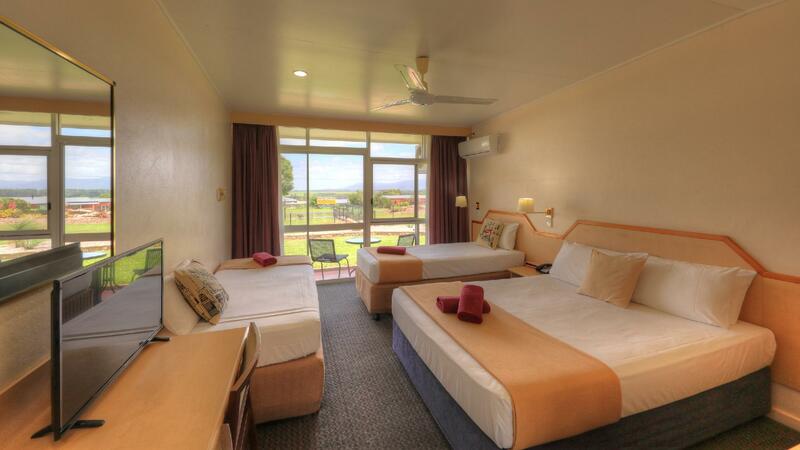 My wife and I stayed a night at the Atherton Motel on our visit to the Atherton Tablelands. We paid AUD$112 for a night with breakfast, and felt it was reasonable. The motel was a little dated, but the rooms were large, clean and comfortable. Parking was really convenient, just outside our room. The surroundings were spacious, and had great views of the rolling hills. We met Robert at check-in, and he was a friendly, gracious host. We clicked immediately because he had recently worked in my country and had lived near our home there. He gave us a room that was adjacent to the motel's dining hall and a Chinese Restaurant by the side of the motel, and that was really convenient. We had a full breakfast which we enjoyed very much. We read that the Chinese Restaurant was a good one, so we gave it a try. It turned out to be one of our best Chinese meal on our trip. If I have to make another trip to Atherton Tablelands, I'll go back there to stay. Located just outside Atherton with views across the Tablelands. The room was comfortable and provided all necessary facilities. The owners were helpful and welcoming and the breakfast room service was both efficient and good quality. Although located next to the main road there is little night time traffic and the motel is sufficiently set back to provide a peaceful sleep environment.